Looking for the perfect gift for the bridal shower you're attending? 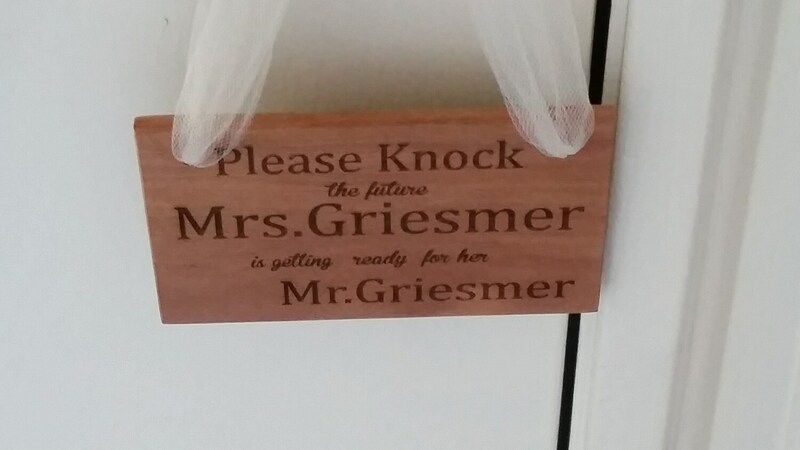 Our handcrafted & engraved wood plaque is sure to bring a smile to her face each time she reads this beautiful plaque. 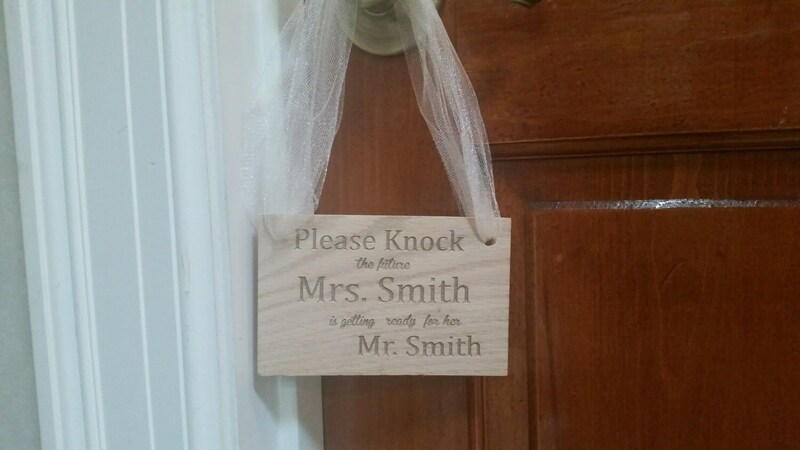 This plaque is door hanging ready engraved on both sides. 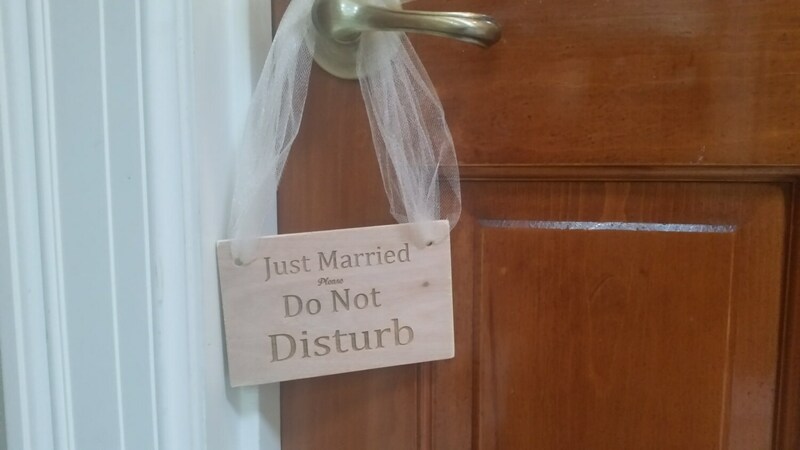 One side is great for the bride while she is getting ready for her wedding day and the other side is great for their honeymoon suite! 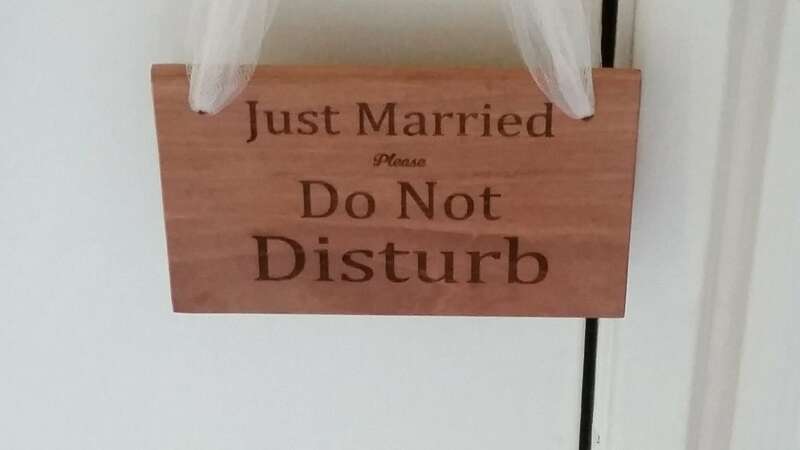 This beautiful sign will make a great wedding memorabilia! Size: 5 inch long x 3.5 inch wide x 1/4 inch thick. We can have the tulle or ribbon match the wedding colors. - Light wood is Plywood.